Stop working right now, and head over to Google.com. The search giant has launched another one of its nifty little Easter eggs, and this time the results are devastating — or, rather, devastated. 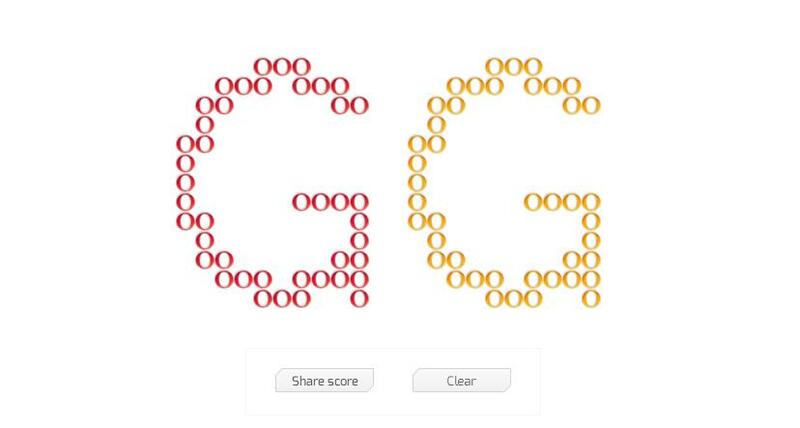 Googling “Zerg rush” will launch a flurry of “O”s, which blast onto the search results, and eat up everything in their path. That is, unless you stop them. Each O can be destroyed by clicking in it three times. A life bar will appear above your target O until it disappears. Fail to click quickly enough (and fail you will), and your search results (and everything else on the Google search page) will be consumed by the ravenous letters. Of course, once you’re done, you can post your score to Google+. Just be careful — the game is extremely addicting. So if you really do need to get some work done today, we’d avoid this at all cost. But since it’s Friday, we’re guessing you have at least a little time to screw around. Now, some of the less geeky amongst you are probably wondering: What the hell is a “Zerg”? Good question. A Zerg is a type of insectoid alien from the strategy game StarCraft. And “rush,” well, you probably already understand what that means. As you may have guessed, a “Zerg rush” is a renowned strategy that was once employed by experienced StarCraft who play as the Zerg race. Ok, you probably didn’t guess that exactly, but now you know. Looking to waste even more time? Of course you are! So check out Wikipedia’s full list of Google Easter eggs, and enjoy not working even longer.